Golf coolie features a bright four color design, complete with your creative artwork or our design team hard at work to create unique artwork for you. Ideal for promoting golf themed events, customize this koozie with your company logo or photo to spread your message to current or future clients. Designed for 12 oz. 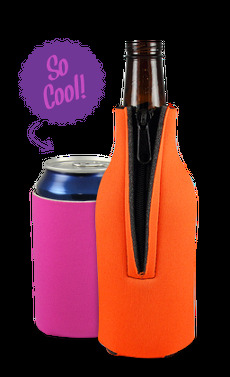 cans and made with collapsible material, allowing you to pack it with ease or carry it anywhere, on or off the golf course.